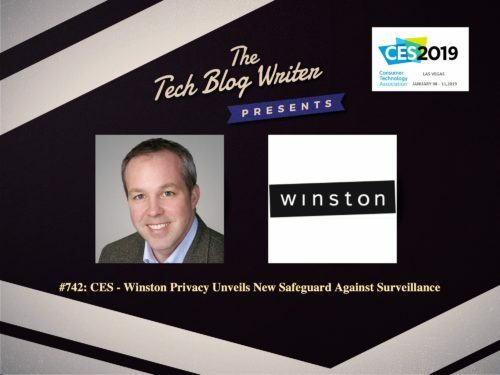 Winston Privacy is a comprehensive internet security solution with a mission to protect consumer data on all devices, including computers, tablets, phones, and smart home devices. Winston resets the default of how privacy works by operating on a distributed private network with proprietary software to ensure that users are safe from pop-up ads, surveillance, and hackers. At this year’s Consumer Electronics Show (CES) the company revealed a simple hardware device that sits between a user’s home modem and router. The device protects online browsing and identity by scrambling and encrypting internet activity through a constantly shifting, decentralized network built on Ethereum. In an increasingly growing surveillance economy, Winston is rooted in a mission to help consumers protect their personal data from corporations, government entities, and third-party data mining companies. “While technology has given way to important advancements in our society, the hard reality is we now live in a surveillance economy where everyone’s personal information – from their Amazon cart or Spotify playlist to specific locations they visit in their hometown – is for sale,” said Richard Stokes, founder and CEO of Winston Privacy. I invited Richard onto my daily tech podcast to discuss that unlike traditional virtual private networks (VPNs), which encrypt internet activity through a central point, Winston’s distributed approach uses a peer-to-peer network to ensure logging is prevented. The result is significantly faster internet speed gains, compared to VPNs, and a true privacy solution that intercepts and blocks tracking requests. Running at the network level, Winston protects every device in the home from spying, including computers, phones, tablets, and smart home devices.